Our Dedicated Restoration Team expands the impact of our vision by providing contract work to Veterans to work throughout the year in areas that see repeated dumping, remote areas, areas too sensitive for a large number of volunteers, as well as graffiti removal projects. There is more to our Dedicated Restoration Team than trash and graffiti removal. Veterans working with us benefit from our program not only through paid contract work, but also through spending time in nature with other veterans. It is extremely rewarding both mentally and physically for veterans in our program to accomplish each restoration we undertake and make lasting impacts on the state. We offer a community where individuals with similar experiences can engage with one another, building lifelong relationships, all while decompressing in the great outdoors. 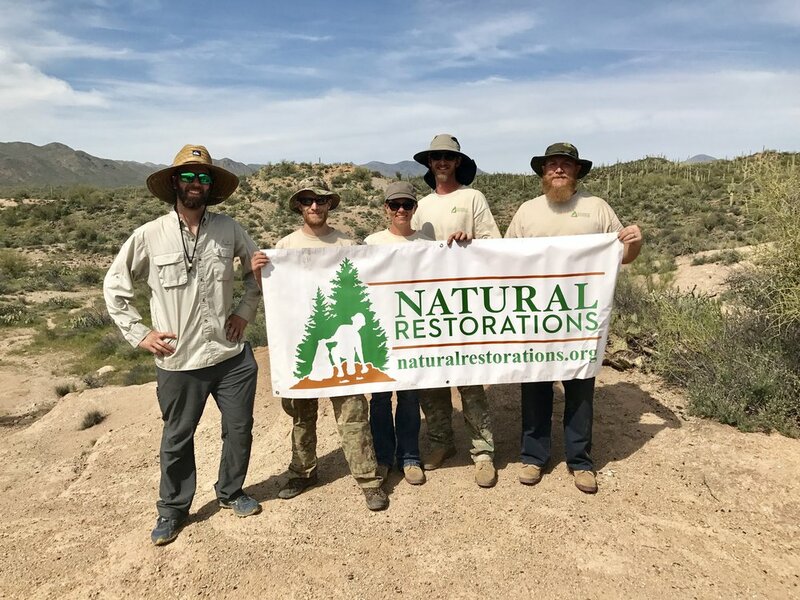 In February 2017, Natural Restorations launched our first Dedicated Restoration Team and began contracting Military Veterans to work on restoration projects with us through a grant from the Off-Highway Vehicle Recreation Fund managed by Arizona State Parks. During our first 11 team projects, we removed more than 69 tons of trash and several panels of graffiti from the desert. Check out each project below and click HERE to watch a story from 12News about our Team. 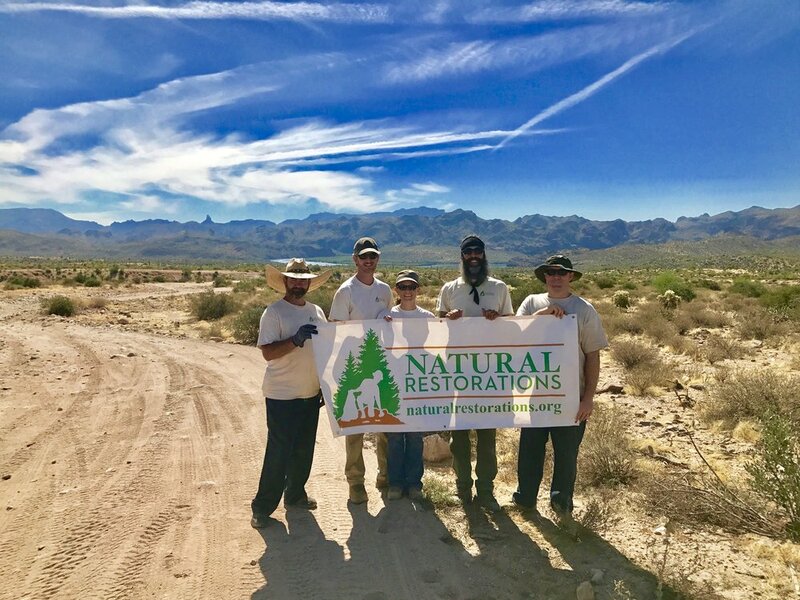 In December 2018, our Dedicated Restoration Team was back in the field through a grant from ON Semiconductor. We removed 3,704 square feet of graffiti from the Lower Salt River at Water Users and Phon D Sutton, and at Saguaro Lake Marina Trail & Cliffs. We also removed 3,620 pounds of trash from locations all along the Lower Salt River. If you or your organization is interested in sponsoring our Dedicated Restoration Team and helping fund team projects, please contact us. We received a second grant from the Arizona Off-Highway Vehicle (OHV) Recreation Fund administered by Arizona State Parks & Trails. We have already removed 30.83 tons of trash during the first 3 Restoration Projects with our Dedicated Restoration Team. 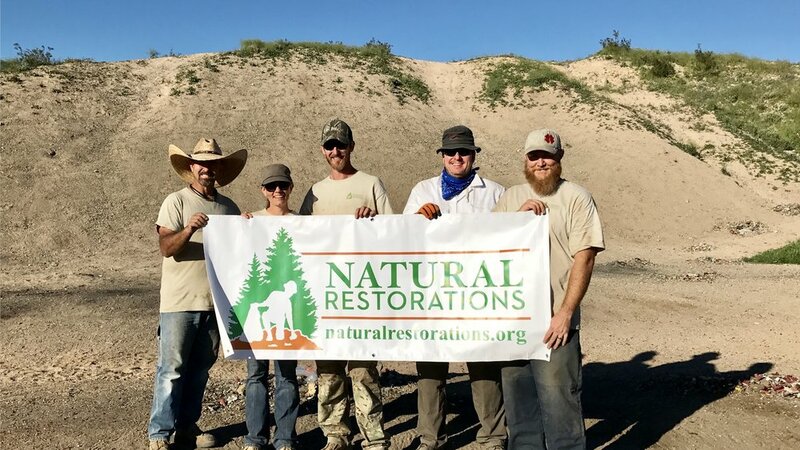 Click HERE to learn more about our 2019 Natural Restorations OHV Areas Restoration Project. 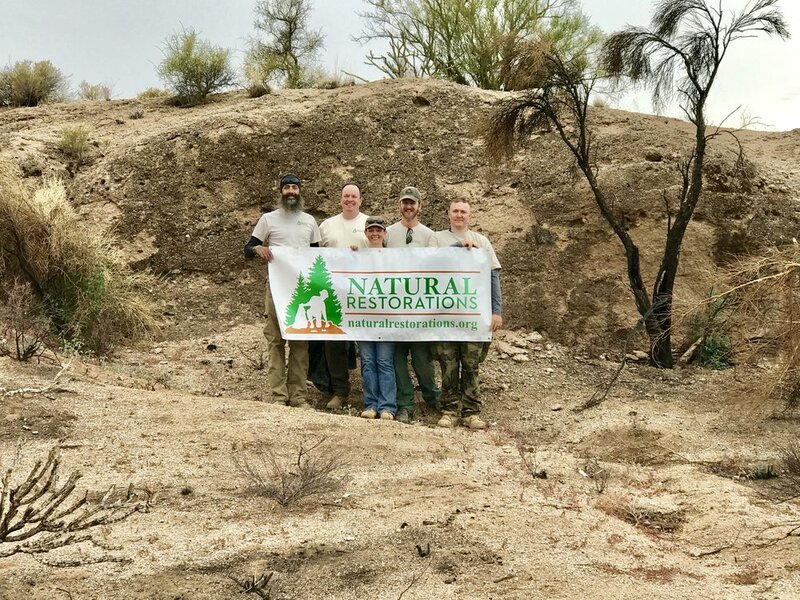 In December 2018, through a grant from ON Semiconductor, our Dedicated Restoration Team removed 3,704 square feet of graffiti and 3,620 pounds of trash from the Lower Salt River and Saguaro Lake. In December, our Dedicated Restoration Team removed 3,240 pounds of trash from Butcher Jones OHV Area. In December, our Dedicated Restoration Team removed 6,260 pounds of trash from Mesquite Wash OHV Area. We also removed graffiti from several areas. In October, our Dedicated Restoration Team removed 11,060 pounds of trash from Butcher Jones OHV Area. In July, our Dedicated Restoration Team Removed 4,740 pounds of trash, including thousands of nails from illegally burned pallet fires burned on roads & trails, from the Cinder Hills OHV Area in Flagstaff. 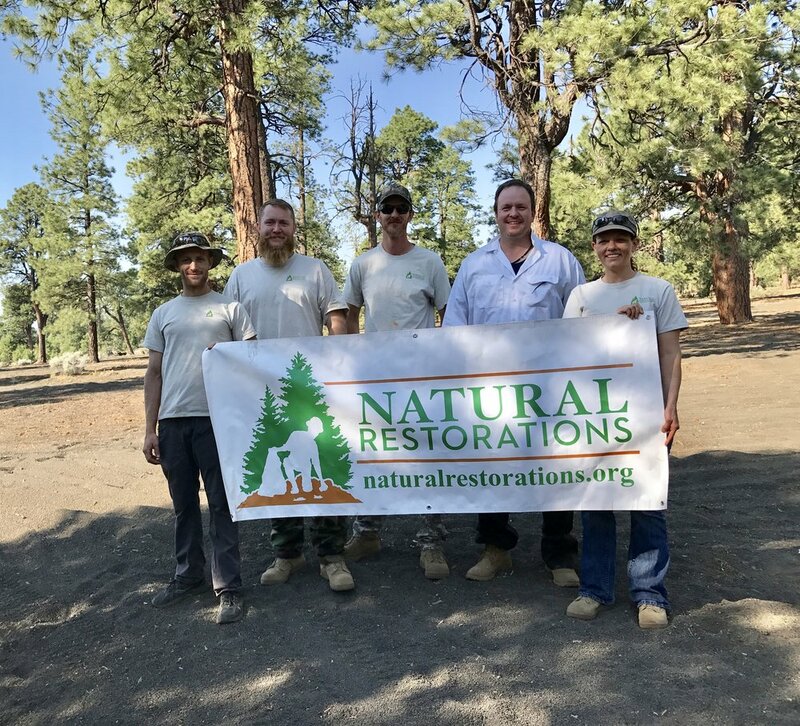 In June, our Dedicated Restoration Team Removed 2,300 pounds of trash, including thousands of nails from illegally burned pallet fires burned on roads & trails, from the Cinder Hills OHV Area in Flagstaff. In April, our Dedicated Restoration Team removed 7,620 pounds of trash from Butcher Jones OHV Area. IIn April, our Dedicated Restoration Team removed 23,380 pounds of trash from Lower Sycamore. In March, our Dedicated Restoration Team removed 7,400 pounds of trash from Mesquite Wash OHV Area. In March, our Dedicated Restoration Team removed 38,340 pounds of trash from Lower Sycamore OHV Area. We also removed several panels of graffiti from rock faces. In February, our Dedicated Restoration Team removed 11,060 pounds of trash from Mesquite Wash OHV Area. We launched our Dedicated Restoration Team in February at Lower Sycamore OHV Area and removed 23,240 pounds of trash and several panels of graffiti from rock faces. 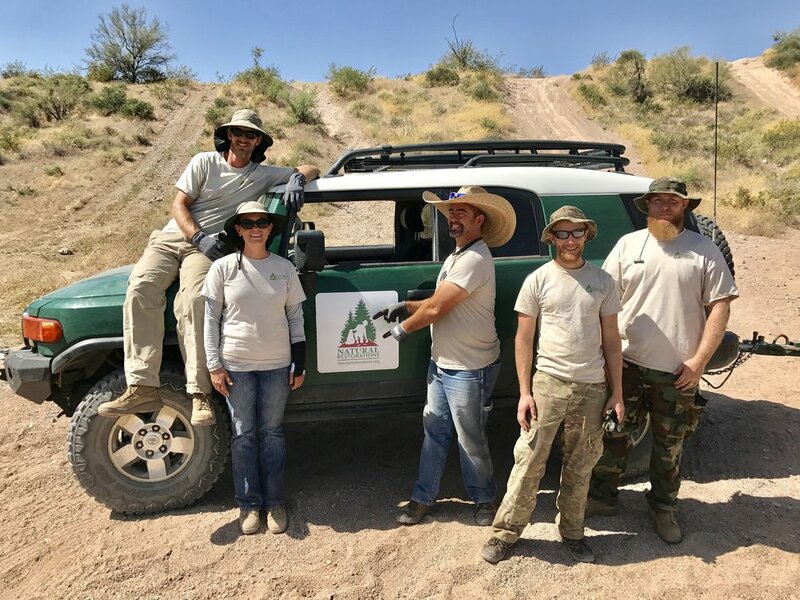 We are proud of the work our Dedicated Restoration Team accomplished in 2017 through our OHV Area Restoration Project, a project funded in part by a Motorized Grant through the Off-Highway Vehicle Fund managed by Arizona State Parks Board. Through this grant, our Dedicated Restoration Team removed 69 tons of trash and 557 square feet of graffiti and we hosted 4 volunteer events, removing an additional 12.04 tons of trash. 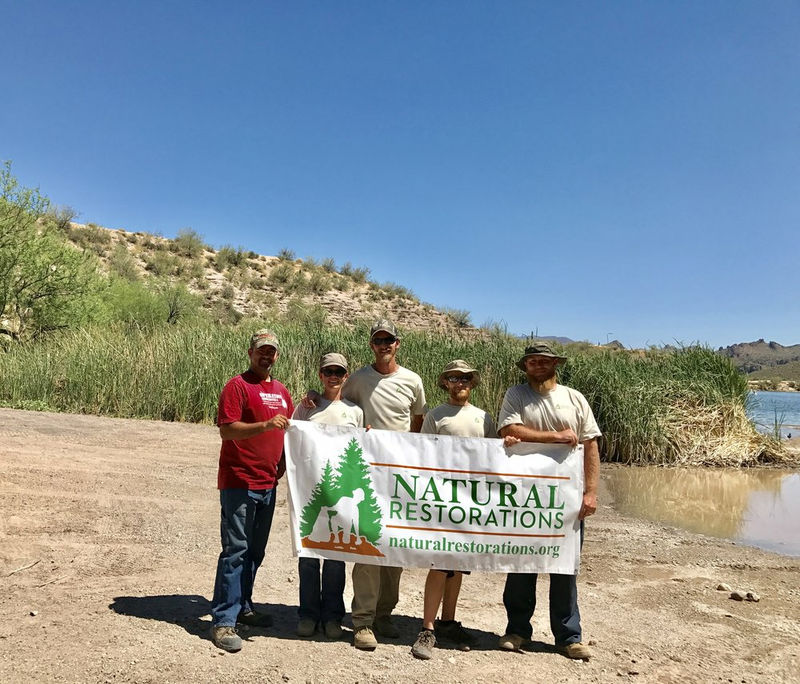 Thank you to everyone at On Semiconductor for awarding us with a grant in 2018 that put our Dedicated Restoration Team to work and helped us make a lasting impact on Arizona along the Lower Salt River and at Saguaro Lake. Through this grant our team removed 3,704 square feet of graffiti and 3,620 pounds of trash. Click HERE to view the entire project.